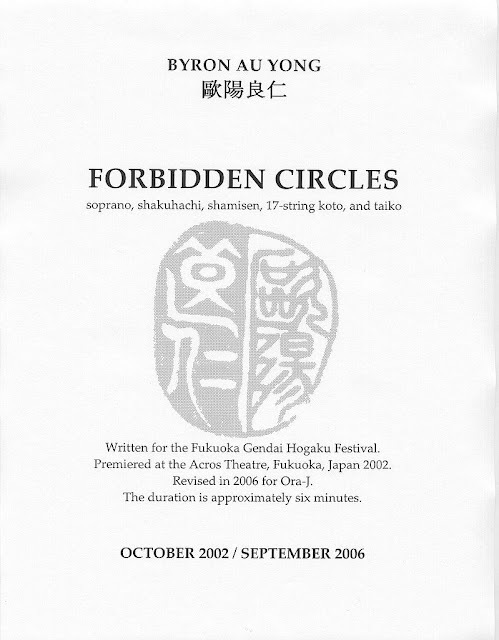 Forbidden Circles is a chamber work for voice and Japanese instruments with text by Mutsuo Takahashi. In Forbidden Circles, I go beyond the circles of convention to investigate the forbidden. 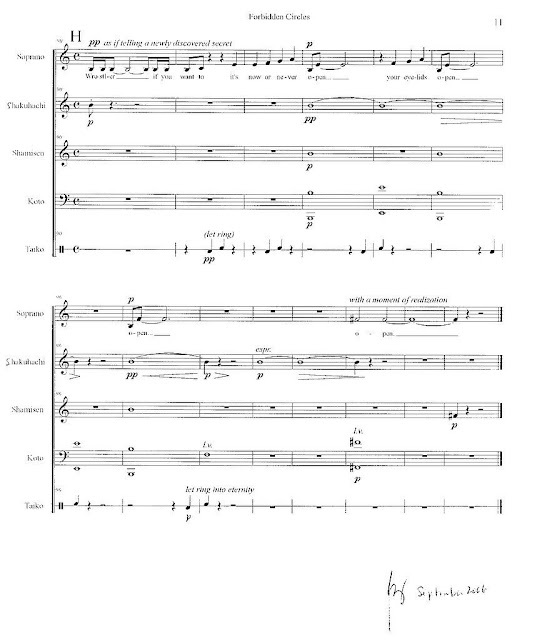 I am a Chinese American composer yet I write for Japanese musical instruments. 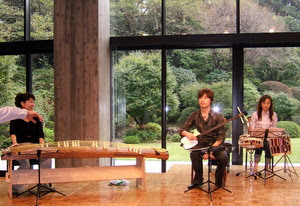 The work is for hôgaku ensemble yet is recently composed. 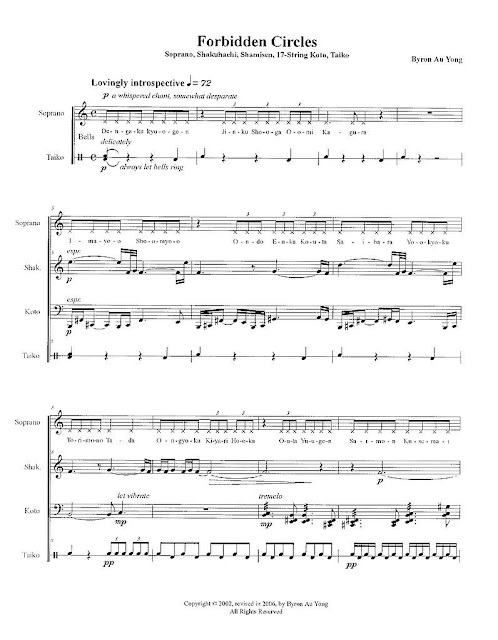 The text is from a male perspective yet a female vocalist performs the songs. 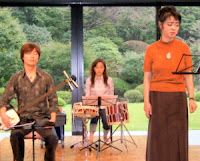 The Japanese poet Mutsuo Takahashi inspired the lyrics, yet his ideas are translated to and sung in English. The contradictions abound yet provide the conceptual grounding for this work. 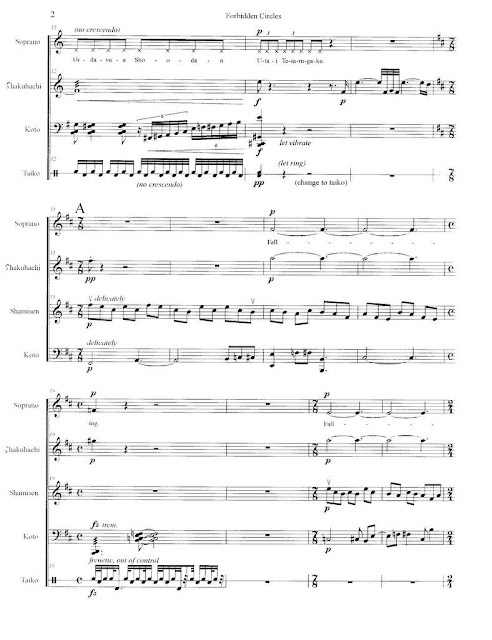 The soprano chants a litany of Japanese vocal styles combined with outbursts from Takahashi’s realizations of sexual longing to reach a place that reflects my everyday existence as a global citizen caught between cultures.